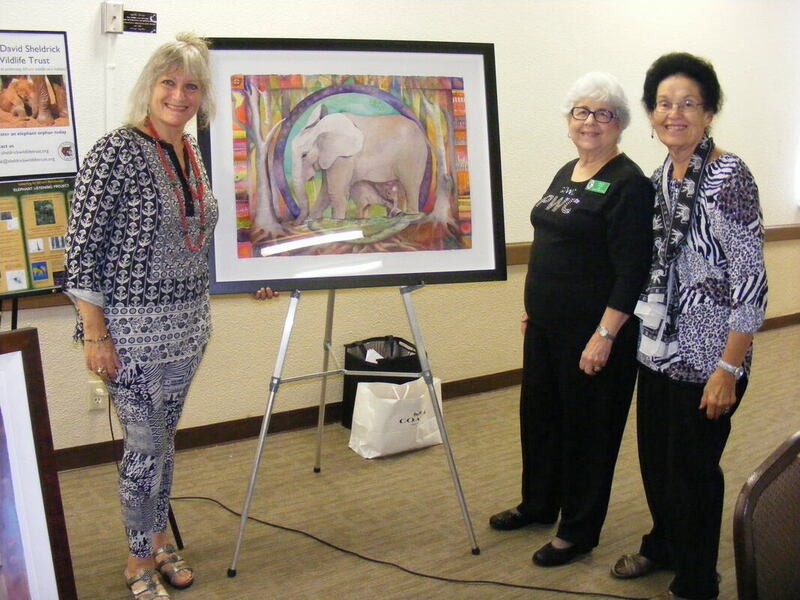 Our November general meeting speaker was Liora Goldfield-Davis, a Plantation-based international artist who specializes in wildlife themes especially as they relate to endangered species such as elephants. Grace Davis, Program Chair, was enthralled with Liora’s work and excited to bring this subject to our Club. 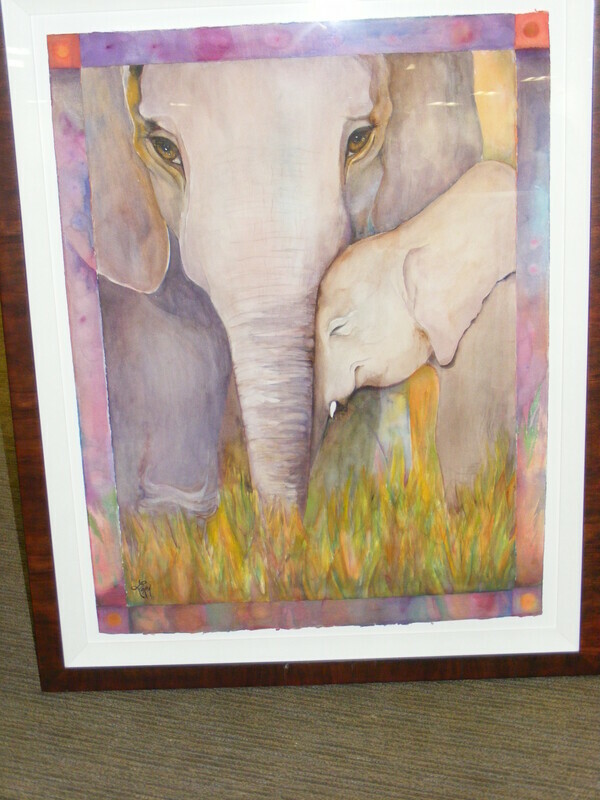 Liora has used her paint brush as a powerful weapon to stop poaching, protect elephants and raise an awareness about how our lives are dependent upon the fate of elephants--a keystone species upon which other life is built. Liora brought several of her masterful full-size paintings as well as prints of her work. Environmental consciousness has been the artist's driving concern and she has been raising awareness of the plight of wildlife for many years with exhibits all over the world including France, Austria, Central Africa and the United States. She has been called the "Elephant Messenger" based on her dedicated activities focused on saving these large creatures from extinction due to hunting and habitat loss. Darlene Ullom of Specialized Nursing Services provided free blood pressure screening to our members as part of our general November meeting. 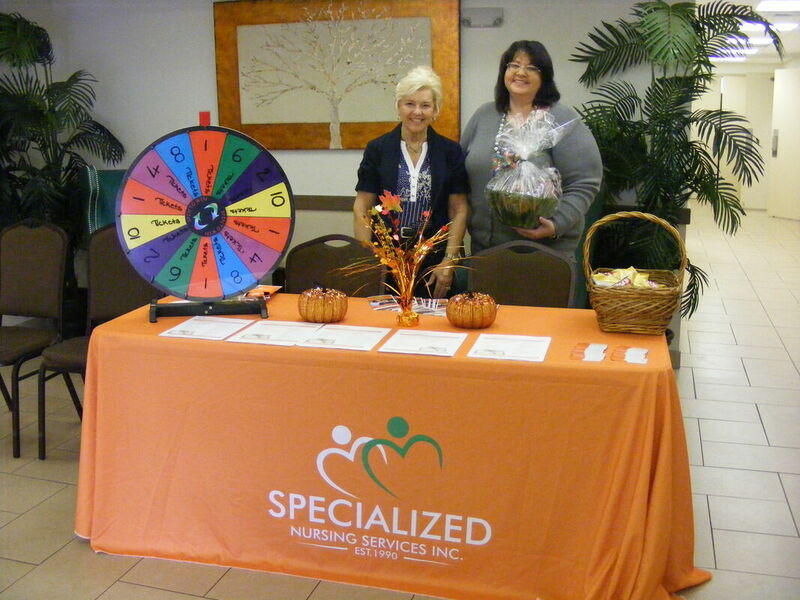 The Deicke entry hall provided the setting for her blood pressure spinning wheel and a delightful basket of goodies provided by Darlene that was won by member Karinne Bernstein. Darlene's screening program has been done at the Jim Ward Center and is part of the overall fitness and health initiative for seniors.